BBC journalist George Alagiah hosts our podcast interviewing supporters and leading experts on the disease, as well as discussing his own treatment and diagnosis. Three episodes are launched during Bowel Cancer Awareness Month this April, called: ‘In conversation with George Alagiah: A Bowel Cancer UK podcast’. The first episode released today (Thursday 11 April), sees George interview Matthew Wiltshire, 51 from Surrey, who has stage four bowel cancer, and the charity’s Chief Executive, Deborah Alsina MBE, about living well with advanced bowel cancer. Deborah Alsina MBE explains what a stage four bowel cancer diagnosis is, what the treatment options are and how the charity campaigns to improve access to treatment and quality of life for those diagnosed with advanced bowel cancer. 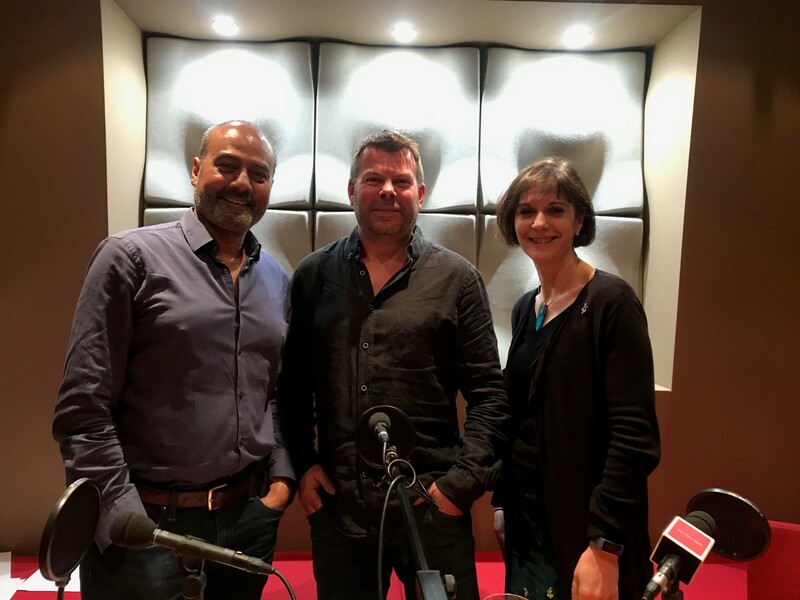 Deborah Alsina MBE, Chief Executive of Bowel Cancer UK, said: “We’re so incredibly grateful to George for hosting our first series of podcasts to raise awareness of the disease during Bowel Cancer Awareness Month. We'll launch our second episode on Thursday 18 April about living with a stoma and a third episode on Thursday 25 April about caring for someone with bowel cancer.